A seven part multi-media series on how best to live a healthy life. Commencing on Monday, September 10 at 7:30 pm, at the SDA Church Hall, 2 George St. Epping. Read more about Taking Charge of Your Health! Are you new to vegetarian cooking? Do you want to learn some new healthy recipes? Join us for our 10th series of multicultural vegetarian cooking classes in 2018. Freewill donations will go towards the Epping Mission Project to support ADRA. Location: Epping SDA Church Hall, 2 George St, Epping. Time: All classes start at 2.30pm and are in English. 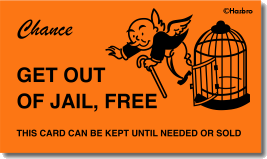 If I could give you a “Get-Out-of-Jail-Free” card so that anything you did wrong for the rest of your life you would never be punished for… would that excite you? Think about it. You could steal whatever you wanted. You could cheat on exams and get whatever degree you wanted. You could drive as fast as you wanted. Sleep with who you wanted. Shoot who you wanted. 10 Mile Hollow - An account written by Zac. 6:30 wake up and we’re off, it’s a 40 minute drive to Wisemans Ferry and we meet everyone at the carpark. Travel across the river by the ferry. Head right along the road to the start of the Old Convict Trail also known as the Great North Road.